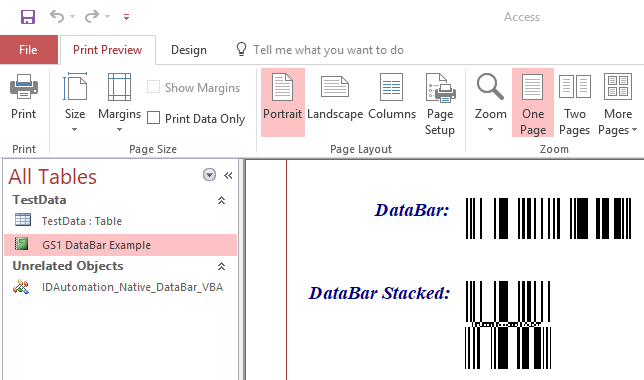 Introducing a new release of the Native Barcode for Microsoft Access for GS1 DataBar. This symbology is used for generation of GTIN and coupon code barcodes, as well as, most POS System barcodes, including DataBar Omnidirectional, DataBar Stacked Omnidirectional, DataBar Expanded & DataBar Expanded Stacked. For more information, visit https://www.idautomation.com/barcode-components/access-native/. To buy now, visit https://www.idautomation.com/cart/GS1-DataBar-Native-Microsoft-Access-Barcode-Generator-P12490.aspx.